As many of you know, for the past year, our family member Dean or friend, has been battling an aggressive form of cancer. For those of you who do not know, Dean went to the Stony Brook emergency room on June 1st, 2016 after experiencing some minor issues and was told he had a mass on his brain. Two days later he was moved to NYU Medical Center, and learned shortly thereafter that he in fact had two tumors - a larger, primary tumor (near the language area) and a smaller, secondary one (near the memory area). Dean had surgery on Friday, June 10th, 2016 at NYU. Dean & Kerri continue to work with a wonderful team of doctors. 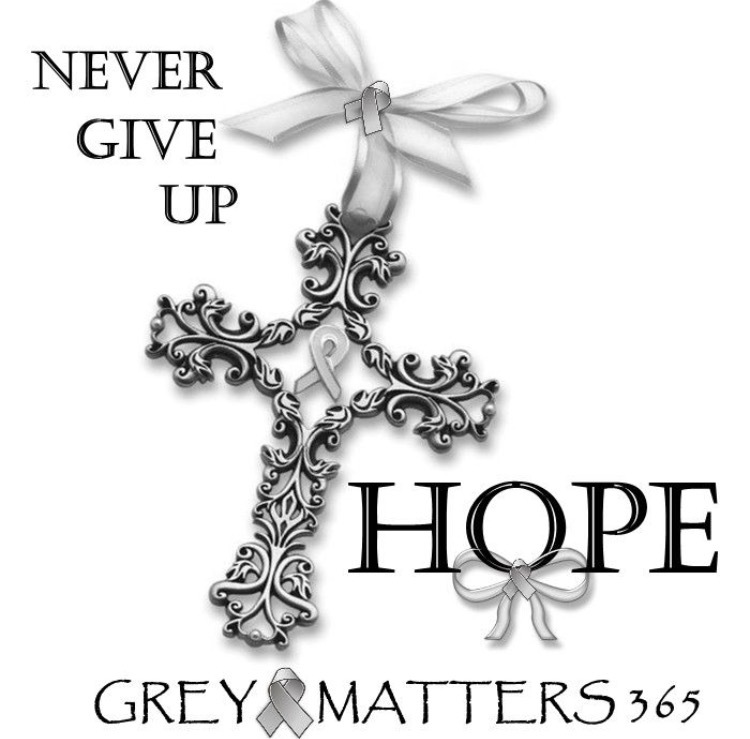 One year later my brother Dean still continues to fight this horrendous battle, called Glioblastoma. Today Dean can't speak more than a few words at a time, he occasionally has small seizures, he has no use of his right arm, his right leg is very week, he can't write, he can't type and he is having trouble reading and comprehending the words he reads. Dean and Kerri are blessed with an amazing support network of close family and friends. They have been overwhelmed by the love and support they have received since Dean’s diagnosis. However, many of you have reached out wanting to do even more. In providing love, strength, prayers, I hope you will donate and help support Dean. I greatly appreicate any and all donations. Please show your support by donating today! On behalf of my sister-in-law Kerri and my brother Dean, I like to thank everyone for your continued support and contributions. Your generosity and heartfelt prayers are truly touching. I ask that everyone please pray for a Miracle for our beloved family member Dean. We love him beyond measure and treasure this kind loving heartwarming soul he has. I envision Jesus healing my brother and covering him in his blanket of love, with peace. Lord lay your healing hand over his body and restore his health and remove the impurities and cancer from within him. Father I'm praying for complete healing, a miracle for my loving brother Dean, who is so deserving of this miracle. Our beloved friend or family member Dean Pace continues to battle the most aggressive form of brain cancer (Glioblastoma). Following his diagnosis and subsequent surgery on June 10, 2016 at NYU, the past 13 months have been an extreme challenge on many levels. Dean has an appointment coming up with a doctor, he uses alternative and complementary therapy programs that will work along with the treatments Dean is receiving at NYU. A friend of Kerri's see's Dr. Chang he has completely changed the way she feels and her regular oncologist is astounded with the positive changes she's experienced. Dr. Chang does NOT take any insurance and it's very expensive, but we want to try everything we can to help Dean. Dean and Kerri feel blessed with an amazing support network of close friends and family. They have been overwhelmed with gratitude by the love and support they have received since Dean’s diagnosis. Last year’s Golf Outing was a tremendous success, with many of you asking when the next one will be and what you can do to help. 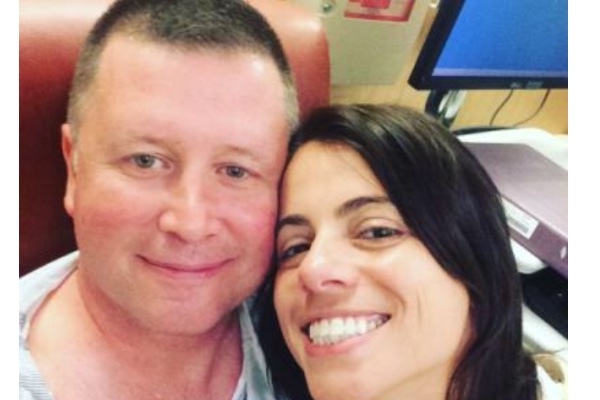 In providing continued love, strength, prayers and support for Dean and Kerri, a second benefit has been scheduled for Friday, August 18, 2017 at Rock Hill Golf & Country Club in Manorville, NY. Similar to last year, the day will start with a buffet breakfast, followed by a round of golf (shotgun start at 8:00 am), ending with a cocktail hour and early dinner. For those that are not available to golf, we are hoping you will be able to join us for the cocktail hour and dinner. 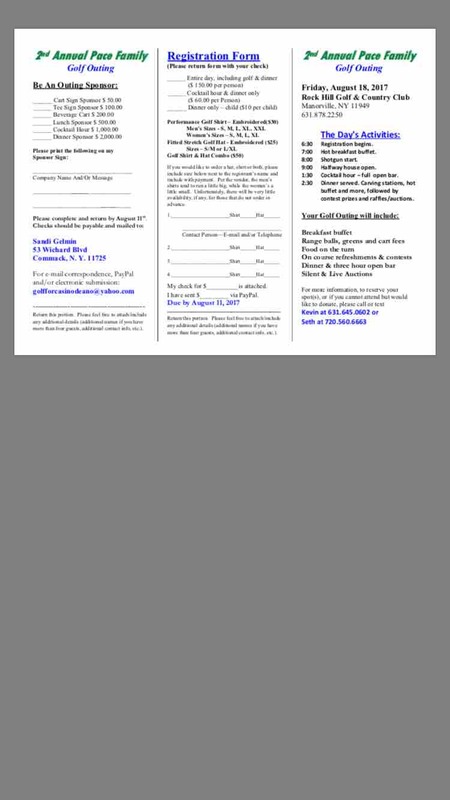 If you are able to attend either the golf outing or just the dinner, please complete and return the attached form. We are hugely grateful for any support you can provide, whether you are able to attend the event or not. 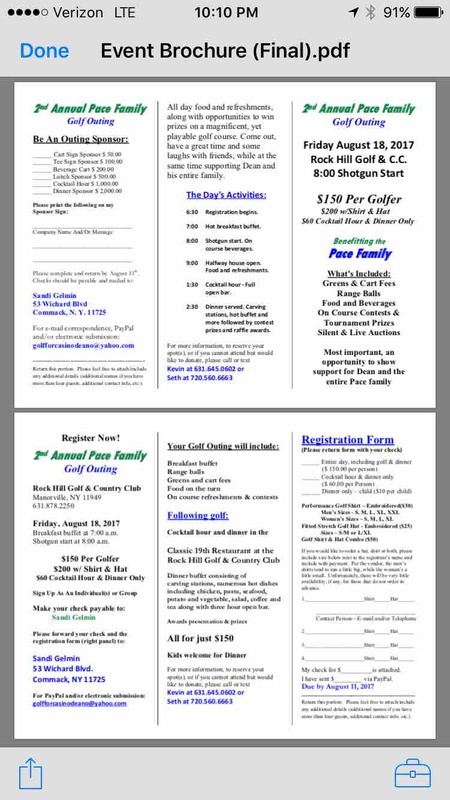 If you have any questions or would like additional information, please call Kevin at (631) 645-0602, Seth at (720) 560-6663 or e-mail golfforcasinodeano@yahoo.com. We look forward to seeing you all on August 18th! Dean and Kerri are blessed with an amazing support network of close family and friends. They have been overwhelmed by the love and support they have received since Dean’s diagnosis. However, many of you have reached out wanting to do even more for them. Happy New Year to all our friends and family. Thank you all for the continued support. I have much FAITH and HOPE that 2017 will be a blessed year for my brother Dean and his wife Kerri. Please continue to Keep the prayers coming. If we are honest, many of us admit that meditation is a word we secretly ignore. Meditation need not be complicated or difficult. Many everyday things are forms of Meditation. Calming ourselves when things are chaotic, taking time to sit quietly and open our hearts and pray. By doing such things daily, we discover serenity, improved self awareness and increased sensitivity to others. Greater hope, trust and even increased energy. I pray for us to adopt some form of meditation as a regular part of all our lives to help the body and mind recover and heal through prayer. Here to 2017 being a year of healing. Love you uncle, stay strong ! The generosity and kind words of some folks are so heartfelt. Thank you for the donations that keep coming in. Gods Blessings to all. As of today moving forward.... Any Donation that a friend or family member make, I will make one too! Thank you for all the wonderful prayers and support ! I LOVE my brother Dean...Praying everyday for complete healing. Thank you to everyone who has donated, you keep our faith high! Kerri's Journal Entry . . . "On June 1, 2016, Dean was having trouble talking and texting on his phone (he told me his phone was changing his words and that he was having trouble getting the words out) and he started drooling out of the right side of his mouth (although he couldn't feel it). I knew right away something neurological was wrong (my Dad died from ALS and speech issues were an initial symptom.) I was scared and Dean was fighting me on going to the hospital "I have to work with my manager today, I don't have time!" he said. So I kissed him goodbye as I was leaving for work and he said "Don't forget tonight is the night we start discussing what renovations we're gonna do to the house-it's officially 5 years since we've moved in!" When I got in the car I called his doctor and he said "Get him to the ER immediately." Then I called Dean and told him he didn't have a choice-he had to go to the hospital. He started crying. He was scared. It took almost 3 days before we could get a doctor at Stony Brook to tell us exactly what was going on. And when he did, he callously said "I'm pretty sure Dean has Glioblastoma-it's the same disease that killed ..." and he rattled off a list of famous names that had died from this brain cancer. The room was spinning and I wanted to punch him in the face. With the help of an incredible man at Dean's company, we were able to have Dean transferred to NYU within hours. I honestly don't know what I'd have done without him. He was my guiding light then and a year later he still calls to see what is going on and if he can be of any help. He is a true angel to us. Today Dean can't speak more than a few words at a time, he occasionally has small seizures, he has no use of his right arm, his right leg is very weak, he can't write, he can't type and he has trouble reading and comprehending the words he reads. But I don't want to focus on what he can't do. I'd like to focus on what he CAN do. He can look at math others have done and shake his head no when they've screwed it up. He can laugh like a child that's being tickled when he watches Ellen Degeneres scare people on her show. He can pick out a great bottle of wine He can eat pizza or a BLT like a champ (messy, but he gets the job done) He can walk slowly down our street a bit and hold my hand. He can put on a silly hat and do a little dance to make me laugh He can snuggle with our fur babies and me when we all need it He can say "Oh My God!" when his mother in law says or does something crazy (Lena!) He can roll his eyes at me when I make him a healthy juice or smoothie (so much eye rolling) He can still look at me and without speaking tell me he loves me with his eyes. So much has happened in one year and I know we still have a long road ahead of us. But we will get thru this. We haven't come this far to give up now. We may not be renovating our house, but we are fighting one hell of a battle. Recently a friend wrote to me "We have to find the gifts in the wreckage." All of you are the gifts in our wreckage ... Our family and our friends (including new friends I've made in the GBM community that have become very close and important to me.) Thank you for raising us up and getting us through a most challenging year. As far Dean's treatment this week, we are waiting for the two immunotherapy drugs to be approved so he can start them. Because they are prescribed "off label" the insurance company won't pay for them and we are waiting for the drug company to sign off on giving them to us. I am hoping we get the approval this morning and I can bring him to NYU to start his first round of what I am hoping is the answer to our prayers. Miracles happen and I don't know anyone more deserving of one than Dean. I know you are all praying for us and we are so, so appreciative. Please keep em coming. xoxo"
Love to you and Dean. Praying for peace that surpasses understanding and love that overcomes. ❤️ Shaye and Laura Cooper.